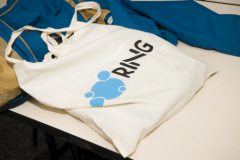 Welcome to the 2016 RING Meeting! As geologists and geoengineers, as academics or industry professionals, we face the tremendous challenge of guessing the nature and the features of the subsurface from incomplete observations. Another significant difficulty is to assess which of these features are most important to our research or applied questions. In our organizations, a no lesser challenge is the search for talents and the development of collaborator’s skills. This problem is very acute in the US petroleum industry, where about 50% of the workforce is estimated to retire in the next 10 years, as reported by the August 2016 AAPG Explorer. Low commodity and energy prices currently make the economic situation particularly difficult, but they should not hide these problems and the need for long-term strategies. At RING, these challenges give us good reasons to remain optimistic about the relevance of research and education in integrative numerical geology. Your lasting support to help us fulfill this mission is very much appreciated, especially in these difficult times. As every year, we are very pleased to welcome you to Nancy. We hope this meeting will provide you with great opportunities to learn and share new results with colleagues, discuss about the future, expand your professional network and spend an enjoyable time in Lorraine. This year, we have decided to start the technical meeting with case studies: not only applications are the ultimate goal of research and technological developments, but also data scrutiny and practical data integration are always a source of inspiration for theoretical and methodological research. Andrea Bistacchi et al. present the application of a new method to interpret fault traces on a digital outcrop model in the Italian Alps. Mattia Martinelli et al. consider the 3D modeling of a dolomitized formation, also located in the Southern Alps. Finally, Peter Achtziger et al. present the 3D modeling of the fractured basement rocks of the Poehla-Tellerhaeuser Ore Field in Germany. The second session is dedicated to stratigraphic, sedimentary and diagenetic object modeling. Pauline Collon et al. present an updated statistical characterization of karst systems made on a number of mapped karstic caves. Marion Parquer et al. discuss about statistical trends in channel migration and show how they can be integrated in backward migration modeling to generate models of heterogeneities at sub-seismic scale. In stratigraphic settings, Wesley Banfield et al. present some thoughts about the role of unconformities in automatic multi-well correlation. As correlation rules should use appropriate stratigraphic concepts and paradigms, Jonathan Edwards et al. explain recent advances in training-based stochastic stratigraphic correlations. They illustrate the behavior of the method on a synthetic case study generated with a forward stratigraphic model. The structural modeling session is concerned with the management of the above geological objects when they are affected by brittle and ductile deformations. Lachlan Grose et al. build on the fold modeling framework introduced in 2014 and show how it can practically be used on a highly folded outcrop data set in Cape Conran, Australia. In faulted domains, Zoya Romanenko et al. propose a methodology to analyze fault seal properties on high-resolution and accurate structural models using chronostratigraphic parameterizations. To handle complex fault topology in deterministic and stochastic structural modeling, Guillaume Caumon et al. propose an updated conceptual model for fault modeling and show its applicability to represent variants of a fault interpretation scenario in the Corinth Rift, Greece. One of the components of this conceptual model concerns the displacement associated to faults. A corresponding numerical model and its comparison with interpolation are presented by Gabriel Godefroy et al. based on high-resolution seismic data from the Santos Basin, offshore Brasil. In their second paper, Gabriel Godefroy et al. also share some new ideas on how to appropriately represent and manage data and structural concepts using graph theory for effective stochastic structural modeling. Beyond consistent integration of spatial data, the goal of geological modeling is generally to make quantitative forecasts and make decisions. This calls for appropriate visualization tools to interpret the results of physical computations. For this, Jean-Luc Rudkiewicz and Jean-François Lecomte present a wide diversity of glyphs to analyze second-order tensor fields such as stress or strain fields. Computing such stress fields can be made by forward mechanical methods, but these seldom honor deformations observed at boreholes. To address this problem, Antoine Mazuyer et al. use CMAES optimization to find the boundary conditions that best explain borehole data. Their comparison with results provided by Limit Analysis shows a good agreement. The Limit Analysis method is also explained and applied to the 3D restoration of the Brunei margin by Josselin Bertelon et al. In all mechanical computations, boundary conditions are seldom perfectly known. To address this problem in restoration, Benjamin Chauvin et al. used an analog extensive sandbox model and shows that classical boundary conditions with no imposed lateral displacement under-estimate shortening (in reverse time). The same sandbox model is also used by Don Medwedeff et al. to demonstrate a new 3D restoration method which uses a chronostratigraphic parameterization. I hope these presentations will provide an opportunity to continue the interesting discussion initiated in 2014 about the role of mechanics in 3D restoration. Once paleo-geometry of structures is obtained by restoration, forward basin modeling can be performed for petroleum exploration purposes. In this area, Antoine Bouziat et al. study the impact of geomechanical assumptions using hydro-mechanical coupling. They highlight both the effect of the couplings and of static geological heterogeneities on the modeling outputs. These effects are also confirmed in the thermo-hydrodynamic modeling of a natural geothermal system in Guadeloupe presented by Margaux Raguenel. Gautier Laurent et al. present a modeling workflow to address similar questions on coupled chemical and hydrodynamic processes. For this, they consider chemical modeling only along 1D streamlines. The preliminary application of this method to in-situ lixiviation of copper in KupferSchiefer deposits suggests that this exploitation method is feasible. In many geological settings, the presence of fractures introduces significant complexity in coupled physical processes at multiple spatial and temporal scales. Seismic monitoring can potentially provide significant information about fracture positions and role. To investigate the relationship between seismicity and fractures, Francois Bonneau et al. use acoustic emissions modeled by discrete element methods (DEM). Their first results are promising, as they find that the DEM method produces acoustic emissions statistically consistent with observations made on actual seismicity data. Active seismic methods are also key in characterizing fractures and faults. In this field, Modeste Irakarama et al. discuss about the sources of structural interpretation uncertainties in seismic imaging and about the various possible ways to rank stochastic models sampling these uncertainties. Before addressing the inverse problem to reduce structural uncertainties, fundamental and numerical works are needed to efficiently compute the forward seismic response. Paul Cupillard explains the homogeneization theory, which is a promising approach for this purpose. For all the above-mentioned computations, a mesh is classically needed. In dynamic problems, deformation may call for remeshing to handle geometric changes through time. This is the topic of Pierre Anquez et al.’s paper, which proposes a new methodology to remesh a 3D structural model between restoration time steps. However, meshes are not mandatory for a number of modeling problems. Julien Renaudeau et al., review existing meshless modeling techniques and discuss their applicability in 3D structural modeling. Another important key for integrative numerical geology is interoperability and scale management between modeling software. Georg Semmler et al. present a new database technology to address these challenges. In addition to these works which will be presented in the oral sessions, we are very pleased to introduce a poster session which address most of the problems and questions mentioned above: characterization of natural geological systems (Margot de Baecque et al. ), visualization and interpretation (Clément Begotto and Guillaume Caumon; Anne-Laure Argentin et al. ), karst network simulation (Pauline Mourlanette et al. ), stress estimation (Nicolas Clausolles et al. ), connections between static geomodels and process-based simulation (Ines Goertz et al. ; Nelly Konan et al. ), inverse problems and uncertainty reduction (Miguel de la Varga et al. ; ), seismic modeling (Modeste Irakarama), mesh updating (Margaux Raguenel et al.) and scale management (Etienne Lavoine et al.). This meeting program would not be complete without mathematical and computational wizardry of Bruno Lévy. This year, Bruno presents some improvements in his 3D implementation of optimal transport. This work forms a basis for new ways of addressing physical modeling and inverse problems. In addition to the technical presentations, we are very pleased to propose trainings to the meeting attendees. As each year, SKUA-GOCAD trainings are given by Paradigm, and the RING team proposes tutorials on the use of the RING software. I would like to sincerely thank all the authors of this volume for the quality of their contributions. Many thanks also to all the RING-GOCAD Consortium members for their support to the RING Team and to the organization of this meeting. I wish you an excellent and memorable 2016 RING Meeting!